The Raspberry Pi is a tiny computer (size of a credit card) designed and developed in the UK. This tiny computer enables everyone (big or small) to learn physical computing, explore basic electronics and learn how to program (programming). The main reason behind developing Raspberry Pi was to teach children’s about physical computing, make them understand how computers work and make them interested in programming. It’s a computer – you can do almost anything with a Raspberry Pi, as you would with a normal computer. You can play music, browse the Internet, run applications, write programs using languages like Scratch, Python or C# etc. 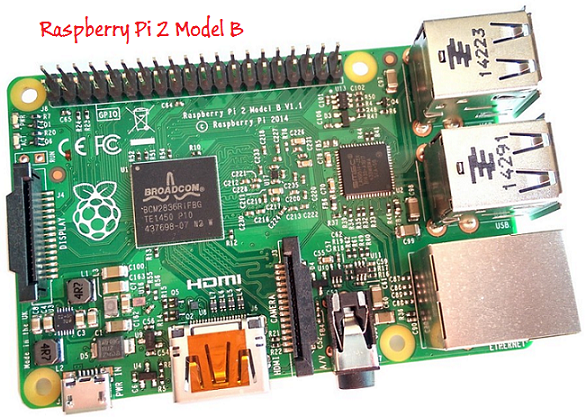 The Raspberry Pi is capable of running a full Operating System. There are different OS (Windows, MAC, Linux version) that can be installed and run on a Raspberry Pi, the recommended OS is a Linux flavor OS called Raspbian (by Raspberry foundation maker of Raspberry). As mentioned above the size of Raspberry Pi is of a credit card, it a single board that has a Broadcom processor (SOC – system on chip) made by ARM, it’s similar to the processors that is found on mobile phone. The ARM processor is fast and light weight. The Raspberry pi does not have its own Hard Disk, keyboard, Mouse and Monitor. The Raspberry Pi is also has bunch of GPIO ( General Purpose Input Output) pins that are open / exposed, so that we can use it to build circuits using sensors. The GPIO pins are easy to configure and control and you can write program to read the sensor data coming from the GPIO pins and send back data to the GPIOs pins after processing. Currently there are Six different boards of Raspberry pi available in the Market of which 4 are available for purchase in the open market. You can purchase these boards as an individual or you can purchase it as part of Startup kits (recommended for beginners). Startup Kits – contain the Pi board with a preinstalled OS SD card and other most essential items – sensors and connectors, capacitor, register, jumper cable, sensors etc.. These startup kits are best way to start doing some popular projects with IOT. Note: Click here for – Unboxing the Microsoft IOT Startup kit. Below are the four raspberry boards for reference. The Pi Zero has a Broadcom BCM2835, 1GHz ARM11 core CPU and 512 MB RAM, making it powerful enough to handle small tech projects. It has all the functionality that most Pi’s have to offer. The Pi Zero board is much smaller compared to the new version boards (Model A and Model B devices). 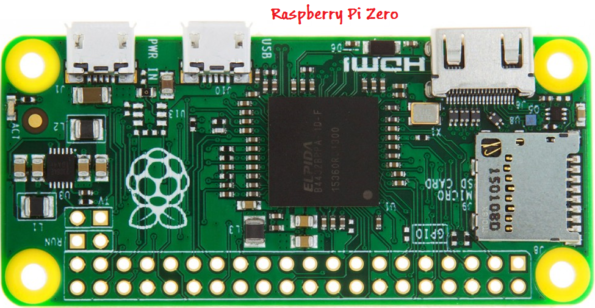 The Pi Zero board is featured with a micro SD card slot, a mini HDMI socket for video, a micro USB socket for data and power and an unpopulated 40 pins GPIO header( similar to Model A+/B+/2B). 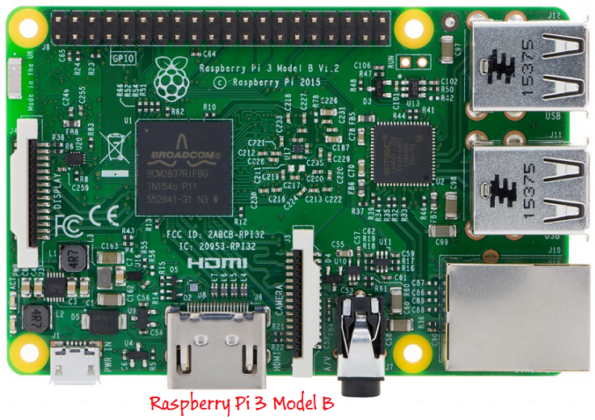 The Raspberry Pi 3 Model B is the latest of the Raspberry Pi boards and was released by the Raspberry Pi foundation in March 2016. I has the improved performance, connectivity, and power management with a 64- bit CPU and onboard Wi-Fi and Bluetooth. It has size similar to the B+ and Pi 2. 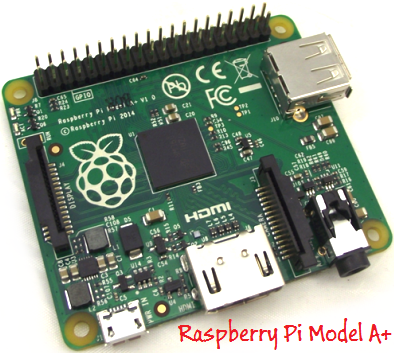 The Pi 3 Model B board is featured with a MicroSD card slot, It has the Quad core 1.2GHz Broadcom BCM2837 CPU (64-bit ARM Cortex A53) and 1 GB RAM, It has the BCM43143 WiFi (802.11n), Bluetooth Low Energy (BLE), 40-pin connector for GPIO, , 4 USB 2.0 ports, CSI camera port, DSI display port, MicroSD card slot, HDMI, 4 pole stereo and composite video port, Upgraded Switched power source up to 2.4A. The performance of the Pi 3 is roughly 50-60% faster than the Pi 2 which means it is ten times faster than the original Pi. Hope the above article gives a good idea about Raspberry Pi, it capabilities and its various boards. In the Next article we would go up close to a Raspberry Pi 3 Model B board and know all its components.